Join Our Pageant Family! -- " Ohio Belles "
Subject: Join Our Pageant Family! Join the slumber party after competition! 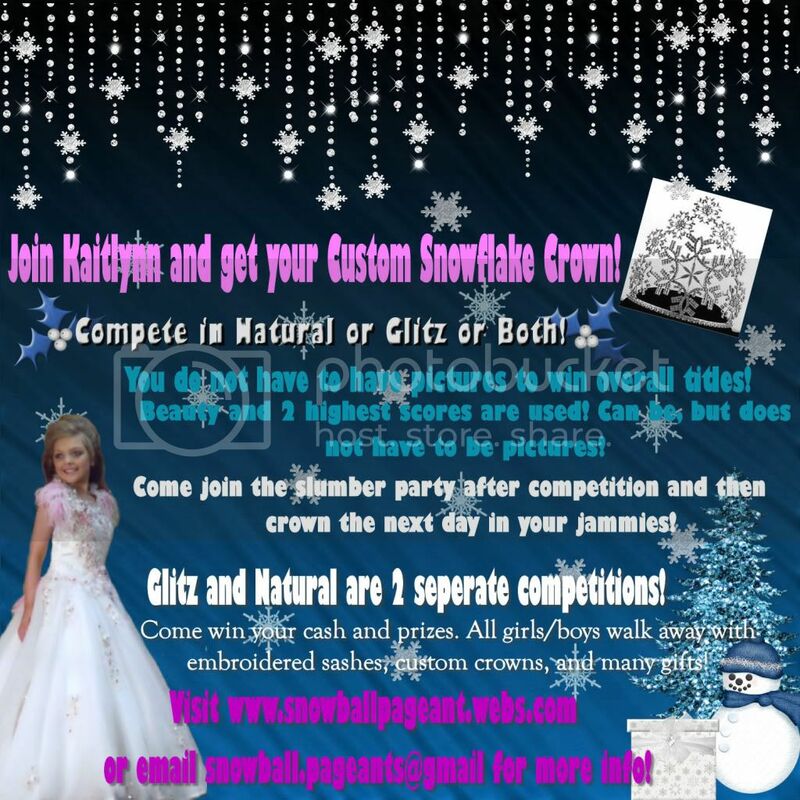 Check out our website, www.snowballpageant.webs.com for more information!